Orange Sized Dreams is being planned to be a series of three parts, featuring previously unreleased material by Jerome Froese with Tangerine Dream. The first (and so far only) release covers the years 1990 to 1995. On several tracks, Jerome Froese is accompanied on guitar by Zlatko Perica (track 1, 4, 5 and 8), Gerald Gradwohl (track 9) and Mark Hornby (tracks 9 and 12); otherwise all keyboards, programming and guitars are performed by himself. The CD comes with a 8-page booklet, featuring track list, liner notes, credits and four pages with numerous (and hence quite small) photos of Tangerine Dream from the years 1990 to 1995. Penguin Reference and Girls On Broadway are alternate versions of the compositions later released on Rockoon (1992); Penguin Reference was completely re-recorded in 2014 for this release. Backstreet Hero and Two Bunch Palms origin from the 1992 US tour, and live versions have been released on 220 Volt Live and Arizona Live, while the 1992 studio recordings had not been released so far. Backstreet Hero was intended for release on Dreamtime (1993) but then replaced by Purple Haze. Two Bunch Palms was a nominee for Turn Of The Tides (1994) until TD changed their minds due to other track options. 220 Volt, originally from the 1992 US tour as well, was performed again live in London in November 1996; this version is from the studio rehearsal for this gig. Cymbeline is an early version of Hamlet, again from the 1992 US tour, but without the guitar solo by Edgar Froese that can be heard on the live versions on 220 Volt Live and Arizona Live. Again, this track was completely re-recorded in 2014 for this release. Treasure Of Innocence is an alternative version of the sole studio track from 220 Volt Live, with Jerome Froese on lead and rhythm guitar. Jungle Journey and Twilight Brigade are alternate versions of the compositions later released on Turn Of The Tides (1994). Little Blonde In The Park Of Attractions is an alternative 1995 version of the track originally released on Tyranny Of Beauty (1995). It was re-recorded in 2014, too. Agent Or Police? and Comfortably Numb are leftovers from The Dream Mixes (1995) and had been previously unreleased. 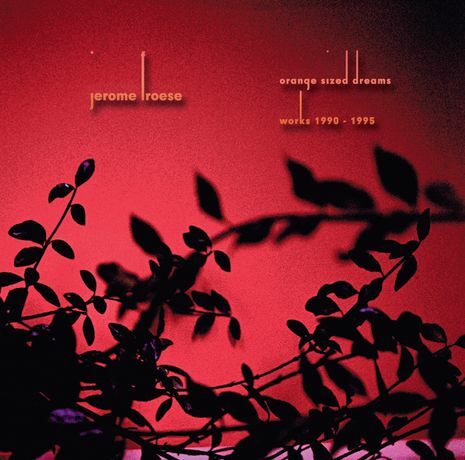 The Moonpop web site about the CD release: "A personal selection of tunes from Jerome Froese's past with Tangerine Dream. The first chapter covers the years 1990 - 1995. On Orange Sized Dreams you will only find remixed, overhauled, re-recorded and leftover tracks. Several titles were carefully restored from the original 24 track tapes and MIDI files which partly results in a complete reshape of the material." In 2015, the album became available for download on Jerome Froese's page at Bandcamp; with Girls On Broadway, this version provides a bonus track that is not featured on the CD version of Orange Sized Dreams.